20 Months Of Private Guitar Lessons! 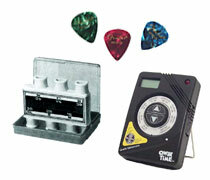 A Great Value For Those Unable To Take Private Lessons! *Reviewed And Recommended By Homeschool Families! 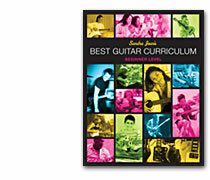 Not with Sandra Joan's BEST GUITAR CURRICULUM: We teach you everything you need to know, line upon line, precept upon precept, in a language and approach that is User Friendly! 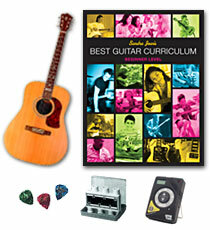 Plus…our Curriculum is the only Beginner Guitar Curriculum that comes with Lessons and Practice Sessions! We did. Our Guitar Lessons began in my basement…within one year we were renting out our School Classroom for lessons all day on Saturdays, as well as leading our church on Sunday with our students for a Folk Guitar Service! Now…35+ years later I’m the President of Music Orlando and have been teaching beginners of all ages to effectively learn and play the Guitar! I have developed my own tried and true curriculum over the years. It has been my experience, hearing people tell me that they took Guitar Lessons for a little while, and then stopped, because they could not understand the instructor. I have found that many people, who know how to ‘play’ the guitar, do not know how to ‘teach’ the guitar! Teaching has to be methodical, line upon line; precept building upon precept…to be effective…plus your instructor should be a good communicator. This is why I have heard over and over, through the years, that people say I’m the BEST guitar teacher they ever had! And this is why my Beginner Guitar Curriculum is the BEST out there! You’ll find that most Learning to Play the Guitar Books are easy to understand the first few pages…after that you need a Ph.D. in Music Theory to continue! Which is why most people never continue! 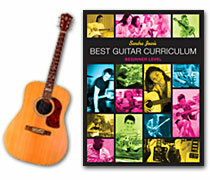 Not so with Sandra Joan’s BEST GUITAR CURRICULUM. I will teach you, step by step, what you need to learn…and in what order. And, more importantly, I will show you how much to practice each piece of new information, before you continue to the next piece of information! Too much information at the wrong time is overkill! Not practicing each new technique enough will also trip you up and stunt your growth and achievement! You will learn week by week what you need to learn to build upon and you will practice at your own pace, until you are ready to proceed with the next lesson! 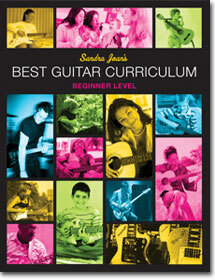 This Curriculum is guaranteed to teach a beginner of any age!